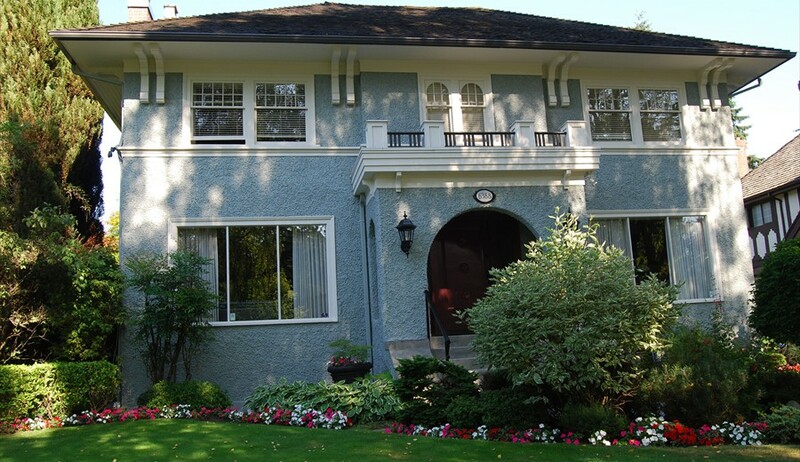 This handsome Georgian 2-storey in Vancouver’s Shaughnessy district was originally the reverse of this colour scheme, as in white stucco with blue-green trim. The switch made the mass of the house look less boxy and more distinctive. The dark railing on the upper porch illustrates how effective a tiny hit of black can be when one wishes to call just a little attention to a detail.